The stock market has a far-reaching impact into the economy. 1. How Does a Stronger Euro Affect US Stocks? Most days the stock market goes unnoticed, quietly ticking up and down. Every so often, however, it climbs or crashes. Suddenly, it's the leading news story. The stock market is one of the gauges of the economy. The health of the stock market has a far-reaching impact, economics professor Jeremy Crimmel says. It affects how much money is being deposited back into the economy and how much confidence consumers have in the stability of their income. Whether an individual has money in the stock market or not, what happens on Wall Street matters. A strong stock market is key to the success of the economy, Crimmel says. When people are making money in their investment accounts and in their 401(k)s, they tend to spend more, said Matthew Tuttle, a money manager with Tuttle Tactical Management and author of "How Harvard and Yale Beat the Market." The spending stimulates economic growth, he said. Conversely, as the market decreases, individuals lose wealth, which often leads to a reduction in spending, said Crimmel, who teaches at La Salle University in Philadelphia. When investors lose money on shares in the stock market, they may be less willing to spend money. This results in a reduction in consumer spending. 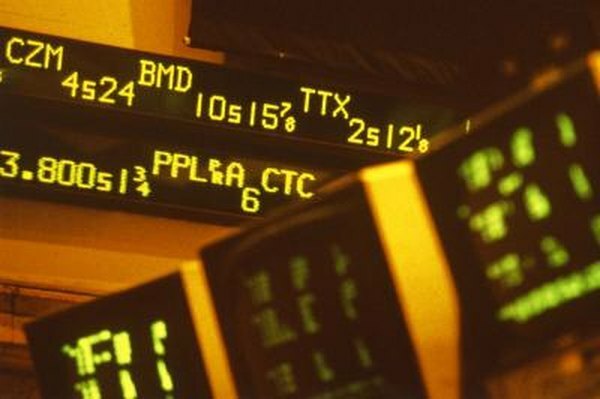 Many people rely on retirement accounts that are connected to the stock market, Crimmel said. A sudden drop in the value of these accounts may alter and delay an individual's retirement plans. This can lead to fewer job openings, potentially increasing the level of unemployment. A December 2009 article on the Urban Institute website backs this sentiment, but points out that low stock prices aren't always a bad thing. While low asset levels in retirement accounts can delay retirement, those who still have time before retiring are able to take advantage of bargain stock prices. One of the ways companies make money is by selling stock, Crimmel said. Companies often use money raised by selling stock to fund expansions of factories, buy new equipment or upgrade computer operating systems. When stock prices are low, companies cannot raise as much money. Not only is a company's stock worth less, there may be fewer buyers. When the stock market is not performing well, investors are less likely to purchase stock, Crimmel added. This leads to fewer funds to use for expansions or improvements. When a company spends less money on improvements, it is infusing less money into the economy. When stocks are worth less, many investors look to protect their money by investing it where they have a guaranteed return, such as government-issued bonds. As more investors buy bonds, the price of the bonds increase, Crimmel said. As the price of the bond goes up, the interest rates goes down. Lower bond interest rates have a ripple effect on the economy, according to Crimmel. Retirees, for example, often depend on the interest rate payment from government-issued bonds or from CDs from their bank. When the interest rate is lower, these retirees receive less money for their investments. Lower income for retirees results in less spending. Economics Help: How Does the Stock Market Effect The Economy? Urban Institute: Retirement Security and the Stock Market Crash: What are the Possible Outcomes? Shawna De La Rosa is a writer based in Seattle. She was a business and health reporter for 12 years at newspapers in Salem, Ore., and Coeur d'Alene, Idaho. De La Rosa earned a bachelor's degree in English and business from Washington State University.